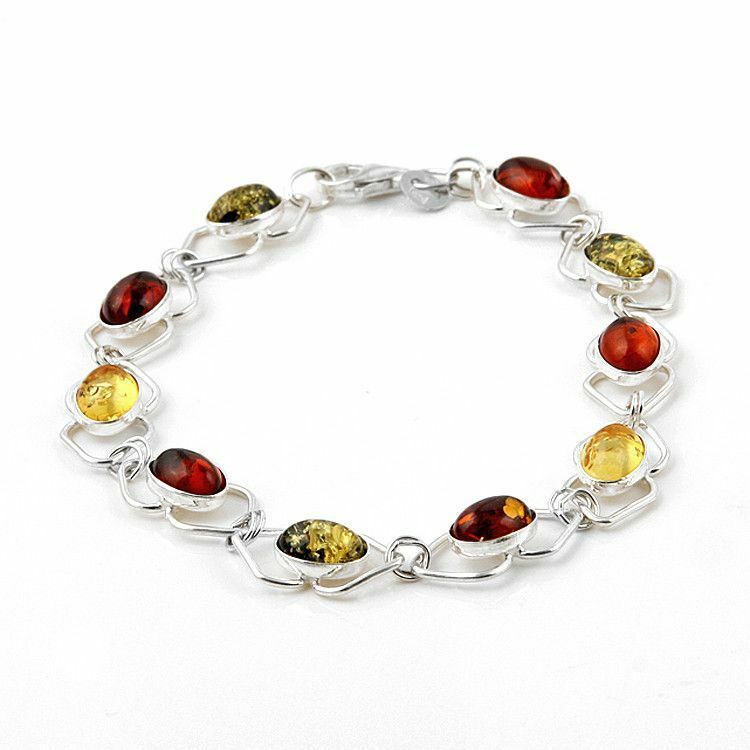 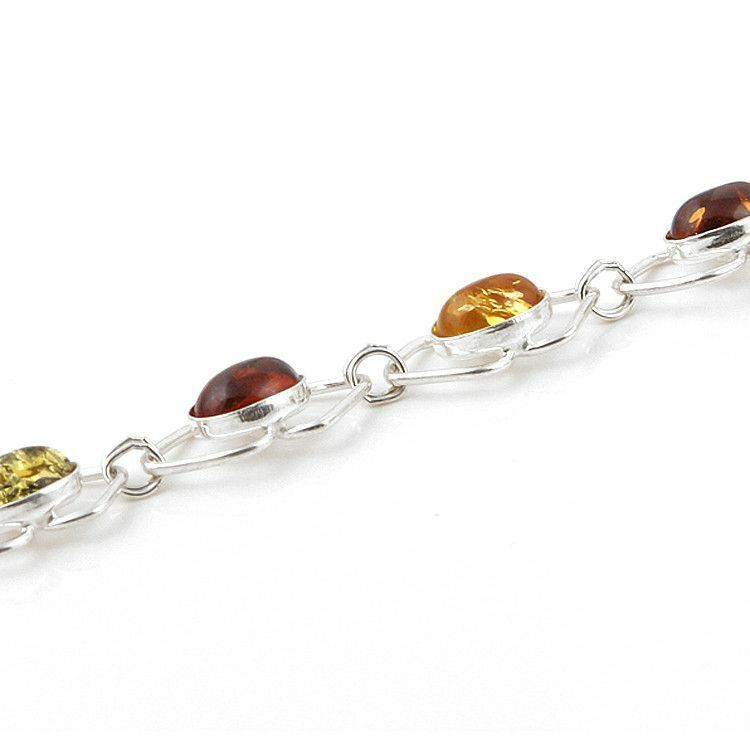 This beautiful amber bracelet displays three different colors of natural amber stones: honey amber, citrine amber, and green amber. 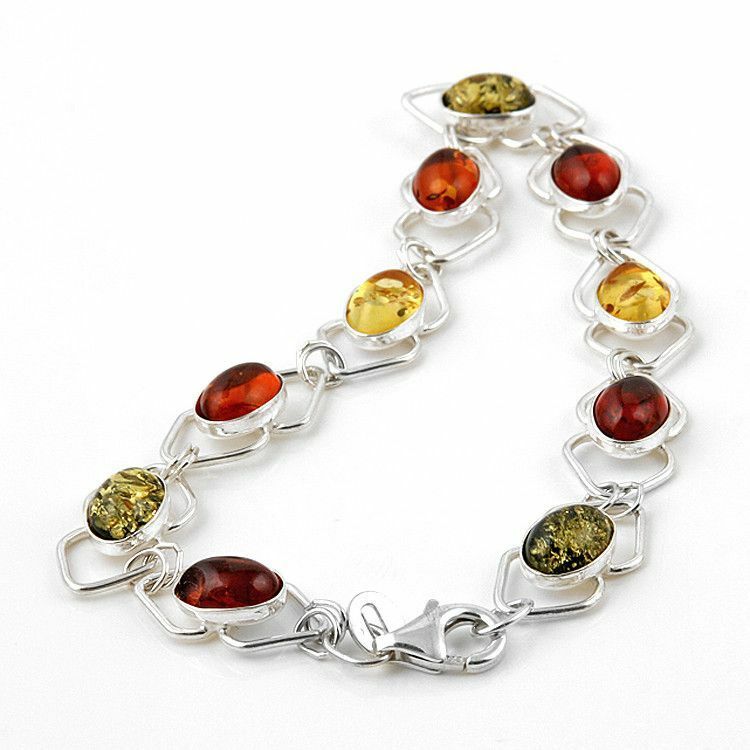 Each sparkling stone has been hand picked and polished to unveil its inherent splendor. 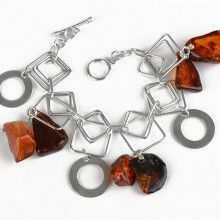 The setting is all sterling silver and features an easy to open clasp. 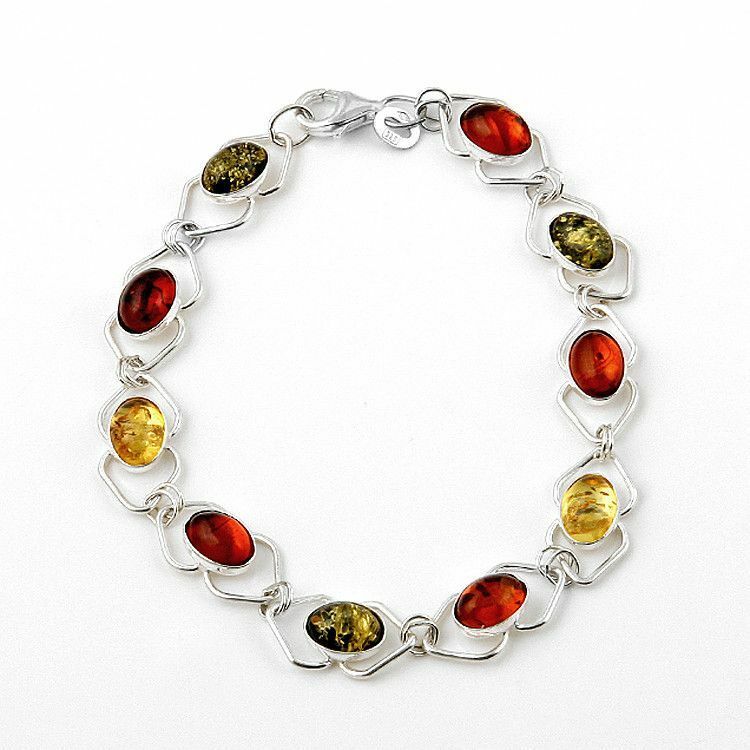 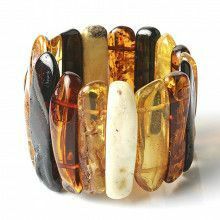 Did you know that Baltic amber occurs in about 300 different colors and shades? 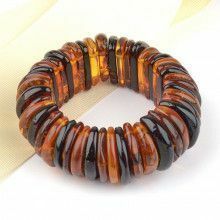 Fits wrist size 7 1/2" - 7 3/4"